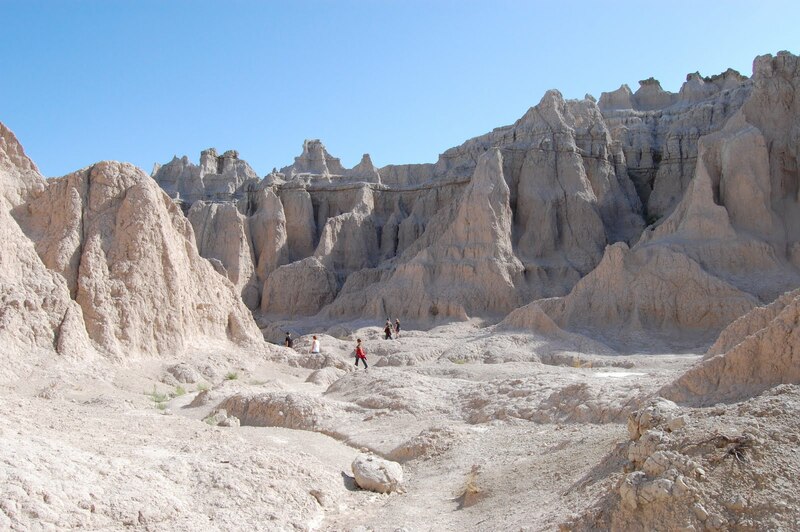 As I sat in my hotel room the night before my visit, I was really excited about doing a couple of hikes at the Badlands National Park. I had a ton of pages I printed out in preparation for my visit spread across the bed as I watched some television and devoured a pizza. I meticulously highlighted the trails I wanted to visit, but it turns out everything I was told about the Badlands was just a bunch of hype. The park is essentially a drive. There are some pretty good hikes to do in the area and the scenery can be absolutely spectacular in spots, but everything is so conveniently located off the main road that winds through the park that there is no incentive to deviate. It promotes laziness with easy pull offs for quick, scenic photo opportunities with only a seat belt to undo. It is simply too convenient for its own good. But, the convenience can also be an upshot. The proximity it offers to other sites around Rapid City, like Mt. Rushmore and the Minuteman Missile National Historic Site, is superb. The Badlands is easy to do in a half day drive, which makes it a bonus for families looking for a quick trip through on the way to the rest of their vacation. Of course, the undetonated ordinances in the south section of the park can be a bit of a deterent for a happy family holiday. Yep, the military used to use the south section of the park, which lies within the Pine Ridge Indian Reservation, as a bombing zone. They warn that anyone hiking the trails should be aware of this and not approach any unexploded ammunition that’s discovered. Instead it should be reported to a ranger for disposal. So forget about the great oppotunities for wildlife and fossil discovery, look for explosives instead! Because of this lovely warning I stayed well clear of the south section. Instead I enjoyed a few short hikes near the east entrance from Interstate 90 and then made a quick drive through the park. The temperatures can get pretty unbearable in the summer in the area, and since it was approaching noon I wasn’t interested in staying and baking any more than necessary; I opted for the lazy out that the park so readily offers. 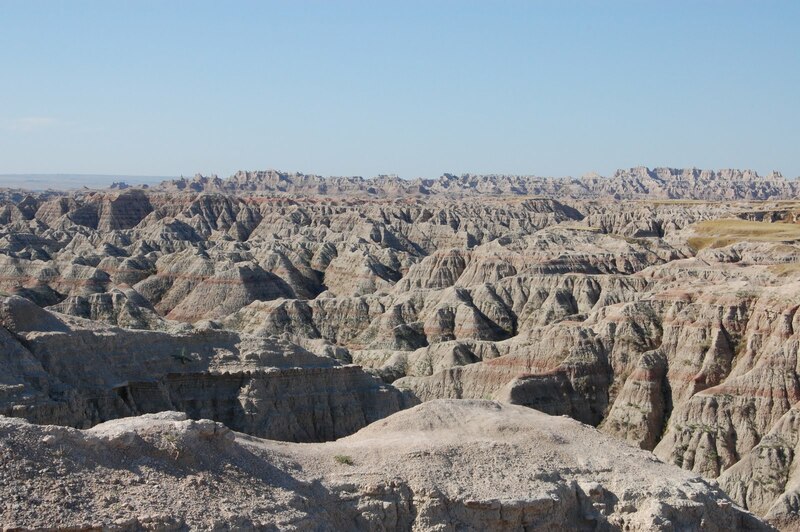 I enjoyed my visit to the Badlands National Park on the whole, but that’s simply because the views are spectacular. It’s unlike anything else that I saw on my drive through South Dakota, and I appreciated it for this uniqueness. Certain aspects of the park more than bothered me during my visit, like the convenience of driving through, but it’s easy to appreciate why this area was designated a national park in 1978.